It's finally here! We've been waiting all summer for the first episode of season 4 and we just finished watching and recording the podcast episode. Spoilers: It's been 6 to 8 months since the last season. Winter has passed and everyone has settled in to their roles. Rick is now a farmer, and Daryl has taken the leader role in the prison. 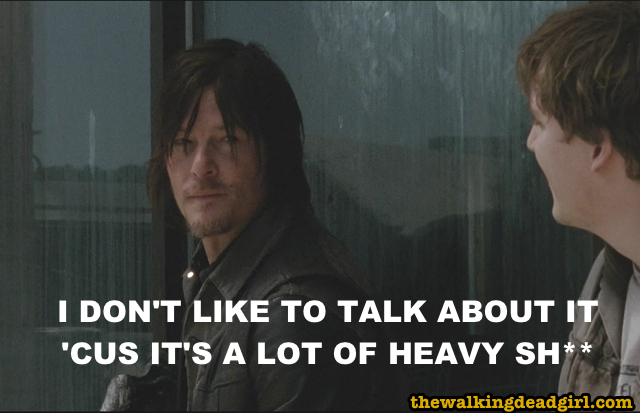 Daryl leads a team to a shopping center for some supplies but walkers get the “drop” on them. Rick finds another survivor in the forest but she leads him nowhere. This podcast is always free to listen. Subscribe to us on iTunes and leave some feedback. We'd appreciate it.